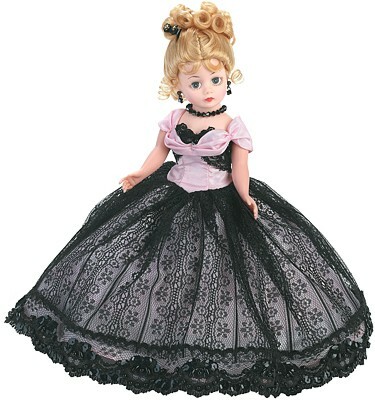 10" Anniversary Cissette, with blonde hair and blue eyes, wears a charming gown of black lace and pink satin. An upswept hairdo, necklace, earrings, and shoes are her finishing touches. Available through Excellency Retailers only. Limited Edition of 1000. Retired item - available for limited time.